06:17 nerzhul hello guys ! 09:35 Raven262 New ways of griefing found. 09:36 Raven262 Noooo! My griefing ideas gone. 10:39 tenplus1 sofar: you around ? 11:04 tenplus1 Q. when TNT explodes, wouldnt it be easier to use the new glow setting so that tnt_boom texture glows in the dark rather than placing tnt:boom node ???? 11:20 tenplus1 the faded colours ? 13:25 octacian BTW, you don't happen to know about when I lef,t do you? 13:28 tenplus1 who are ya with ? 13:32 octacian I don't typically have too many issues regarding playing TBH. 13:39 tenplus1 hi ruben... does it work okie ? 13:43 tenplus1 is it running a custom [game] ? 13:48 tenplus1 ooh, is it on your git page ? 13:52 octacian Will push that as soon as I can. 13:56 shivajiva is there a size limit on the table it can hold? 14:03 tenplus1 ahh, can minetest use it ? 14:10 nerzhul rubenwardy, mod storage is with map db or a file on disk, cannot remember ? 14:10 octacian nerzhul: It's honestly not all that bad. 14:10 tenplus1 any size limits ? 14:11 nerzhul if i remember 10MB per mod no ? 14:12 octacian I agree, however, I honestly think that they should either be implemented anyways to fill the gap, or the entire API regarding raw filesystem management should be removed. 14:12 tenplus1 using web interface ? 14:13 nerzhul remove commit loosing change or keeping change ? 14:13 octacian tenplus1: You can't AFAIK. 14:13 octacian nerzhul: That's my point. Minetest 0.6. If it's going to be that long, we should implemented the 2 missing features in the meantime. 14:14 octacian Plus, I hear that there is going to be a 0.4.17, with some changes from 0.5 that are still backwards compatible. 14:14 octacian For that matter, why not drop I/O in 0.5? 14:15 octacian You can do that with I/O? 14:15 octacian But yes, i've got to agree with nerzhul. 14:18 octacian TBH, I'd honestly prefer to see something to replace the signs_lib hack first. It would open up quite a few other possibilities too. 14:40 octacian Saw that a while back, I'd really like to see it merged. 15:43 tenplus1 is that a tape drive ? 15:46 tenplus1 erk... how much storage does the tape hold ? 16:11 octacian In all seriousness though, I'd personally appreciate it if "Be appropriate. You never know the age of people on the channel." and "Watch your language." were more consistently followed. 16:19 KaadmY How do you handle third-party developers when you license your engines? Carmack: It's, "Here's a CD. Thank you for the half-million dollars. Have a nice life." 16:21 Krock tenplus1, I don't understand what you mean with "goes into weird loop".. what happens? 16:23 Krock uhm... make a queue? 16:26 behalebabo what about removing/replacing the TNT node before calling tnt.boom? 16:30 ShadowBot Another satisfied customer. Next! 17:31 sofar tenplus1: around now, anything you need? 17:33 sofar I was thinking about that... can't you manually handle the center node drops before calling tnt.boom? 17:54 lisac hey why don't default carts work with anticheat on? 17:59 RobbieF Allo there Shara! 18:12 Shara Apparently even MTG description fixing leads to disagreements. We should all hide under rocks! 18:14 Dargod anyone have problems with sign_lib mod? 18:14 tenplus1 not lately... whassup ? 18:15 Dargod 2017-07-19 14:12:39: WARNING[Main]: Client with unhandled version to handle: '0'Client with unhandled version to handle: '0'Client with unhandled version to handle: '0'ServerEnv: Trying to store id = 513 statically but block (-25,1,2) already contains 64 objects. Forcing delete. 18:18 tenplus1 are you using latest signs_lib mod ??? 18:30 Shara Not a Common Rock, paramat? 18:35 paramat ok, are you unsure how to implement sofar's suggestion? 18:40 Dargod Thanks tenplus1! It's works fine now! 18:41 Dargod btw, Why is it still not in the repository? 19:01 sofar have you been there? 19:02 tumeninodes haha, I was just going to ask N. or S.
19:12 tenplus1 all working a-ok ? 19:20 tenplus1 what'e everyone's fav. Desktop Environment ? 22:14 Shara Fixer: I don't use unifieddyes. 22:15 Shara And use a fork of sea. 22:17 Fixer Shara: can you share your fork? 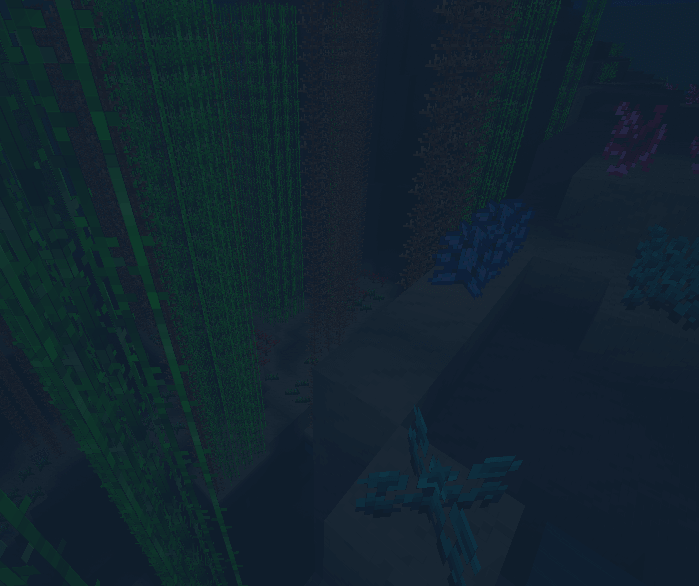 22:21 Shara included "I will note that my version of the sea modpack is, though largely the same, a fork which adds light to the plants. I have no idea if this could change things." 22:23 Shara But glass/water texture are the more important issues. 22:33 Shara Try what in config? 22:37 Shara I use a different water texture on the server.